A WikiEvent is a type of Java EventObject , and is used to notify interested parties that something has happened within the WikiEngine. This is done by attaching a WikiEventListener for events, the listener generally contains filters to look for certain event classes or types. The listener is added to a singleton manager called a WikiEventManager, which handles all WikiEvent within a JVM (i.e., even for multiple WikiEngines). A step-by-step example of how to use WikiEvent can be found on the WikiEngineEvent page. Prior to version 2.4.20 there was no event handling in JSPWiki. 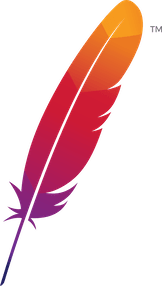 The org.apache.wiki.event. * package was written to provide a complete event handling solution and is now part of the 2.4.x and SVN distributions. WikiSecurityEvent.GROUP_CLEAR_GROUPS does not appear to be fired anywhere. WorkflowEvent.CREATED and WorkflowEvent.STARTED are not currently fired, only used as states by the WorkflowManager. but you won't generally need this, as all of the commonly-used methods are static. The isListening(this) method returns true if you've previously added a listener for the object. Because we wanted to embed JSPWiki's WikiEngine in Ceryle (a standalone Java application), such that upon launching the application the WikiEngine would load if the Web server was running and inform Ceryle of its existence (we needed to do this so we could intercept the initialization sequence to modify various properties such as storage locations, etc.). This required adding event listeners to objects that didn't yet exist. The WikiEventManager is designed so that its event delegates can be attached to a Java class, so that the first time the class is instantiated the already-existing listener is attached to the new class. In this way we can listen for things as they start up. Each time the above method is called another listener is added to the WikiEventManager's preload cache.